Archive for the ‘Contentment’ Category. Do you and your kids know the Secret of Being Content? Being content certainly makes all-year-long Thanksgiving easier. So what’s the secret? The portion of the verse “I have learned the secret of being content” was floating around my head the other day and made me realize I needed to check the passage to make sure I knew what the secret is! 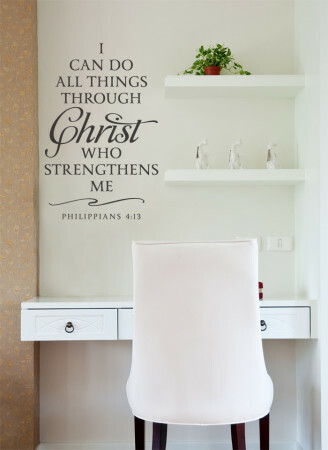 How many of us are familiar with both Philippians 4:12 and Philippians 4:13 separately, but have never tied those two together in our heads? Please tell me I’m not the only one! 1- Ask your kid if he knows the secret of being content and read Philippians 4:12-13. My kids easily learned this verse from the Seeds Family Worship: Power of Encouragement CD we listen to in carpool every Wednesday. You can hear a sample of the song, buy the CD, or download the single MP3 through the link. Also, you can read here about how to incorporate Scripture through music into your drive time. 2 – Discuss ways your family members struggle to be content. 3 – Now, read together this passage and discuss what Paul, the writer of Philippians, had been through. *Five times I received from the Jews the forty lashes minus one. *I have been constantly on the move. *and in danger from false believers. *I have been cold and naked. *Besides everything else, I face daily the pressure of my concern for all the churches. 4 – Kinda puts things into perspective doesn’t it?! If Paul can be content, surely we can too! Are you going to ask your family if they know the secret of being content? I bet you’ll have a great discussion! Click here or on the image if you are interested in purchasing this beautiful wall art or similar items from Wise Décor. see your copy of Parenting with Scripture: A Topical Guide for Teachable Moments.